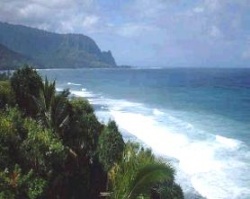 Known as the Garden Isle, Kauai is the oldest of the Hawaiian Island chain. 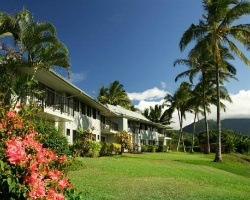 Princeville is located on the north shore of Kauai and is the perfect setting for a relaxing, fun-filled vacation. Guests can choose a swim in the Pacific Ocean or the resort's outdoor pool. Golf, tennis, and hiking can also be enjoyed near the resort. Visitors to Kauai will find that sightseeing attractions are plentiful. Located in the Princeville resort area is a shopping plaza with restaurants, novelty shops, grocery store, gas station, and a medical facility. The Princeville Shopping Center is approximately one mile from the resort. TWO WEEKS IN PRINCEVILLE, HAWAII!